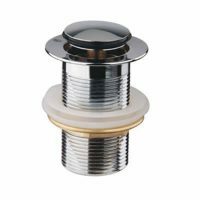 Make your basin woes a thing of the past by replacing the waste plug with a modern pop-up waste. The 32mm Pop-Up Waste with Overflow is the perfect enhancement. Bring your tired vanity into the 21 Century with this high-quality product that will make your basin more efficient and easier to clean. 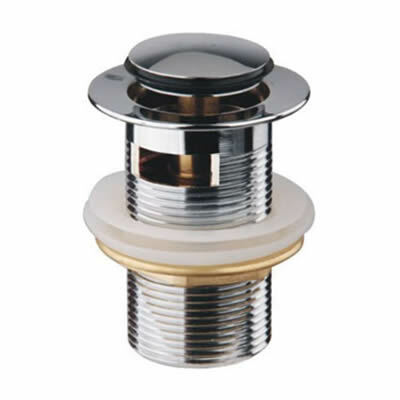 The 32mm Pop-Up Waste with Overflow is suitable for use in standard Australian basins that have an overflow. 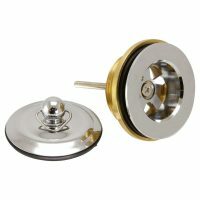 It comes in standard sizes of 32mm and 40mm and sports a modern chrome finish. 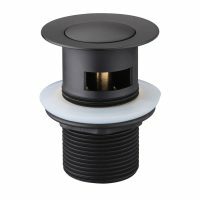 Featuring an integrate pop up plug and a push button, this waste is extremely easy to use. It is also equipped with holes on the sides, for easy overflow operation. Furthermore, this modern pop-up waste meets the Australian standards of quality. Therefore, you can trust that it is built to last many years of service. So, go ahead, get rid of your old waste plug and replace it with a modern 32mm Pop-Up Waste with Overflow. Buy this product at the best price from us at Ross’s Discount Home Centre. Shop online today and you’ll avail of free deliver all across Perth Metro!